“Happiness is a gift” is the tagline for Lacome this holiday season. Couldn’t agree more with it, when we receive a perfect gift from our love ones, happiness is the word to describe. This Christmas, Lancome launched the Limited Edition L’Absolu Palette and Poudre de Lumièr. L’Absolu Palette is a mixed palette that contains 6 eyeshadow shades, 1 lip base and 2 matte lip colours. It’s handy in size, perfect for travelling and house it in your bag for touch up. The 6 eyeshadow shades includes shimmery gold, bronze and plum, can be use for day makeup as well as night makeup for parties. Highly pigmented and with the angle and flat brush applicator it enable us to apply the eyeshadow easily and conveniently. Use Poudre de Lumièr to Boost the radiance and the volume of the key zones of your face. Can be use on shoulders and cleavage to illuminate your outfit. I have also tried the L’Absolu Velours, it’s a velvet matte finish gloss that doesn’t dry and yet moisturise our lips. Long-lasting (up to 8 hours) and definitely easy to apply with the applicator. Shade 385 on my lip. Many thanks to Lancome Singapore for the 5 L’Absolu Rouge Definition. 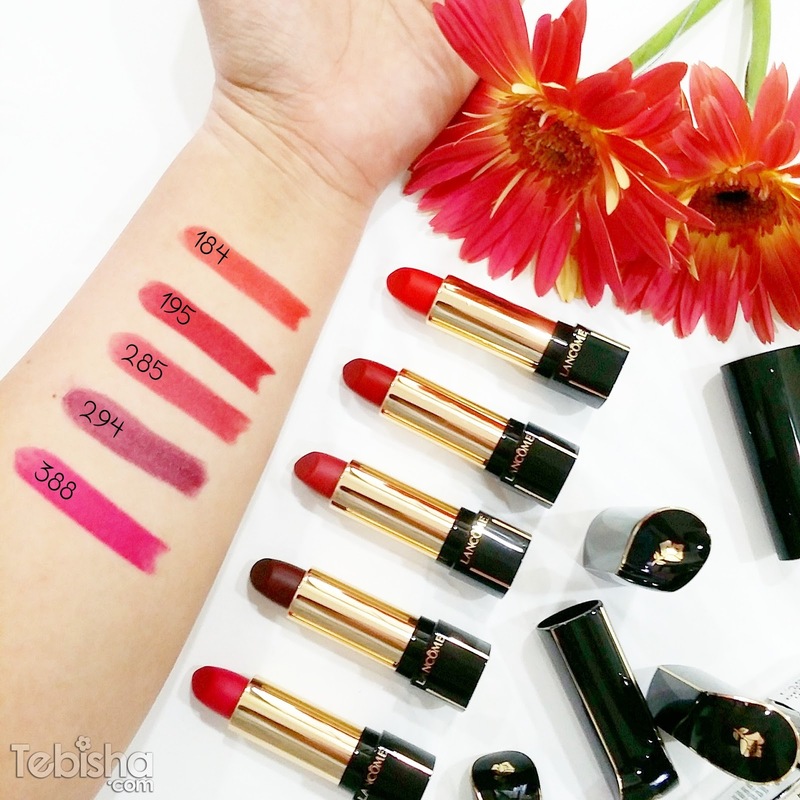 L’Absolu Rouge Definition are my favourite lippies currently, I’m unable to describe my love for matte lipsticks. 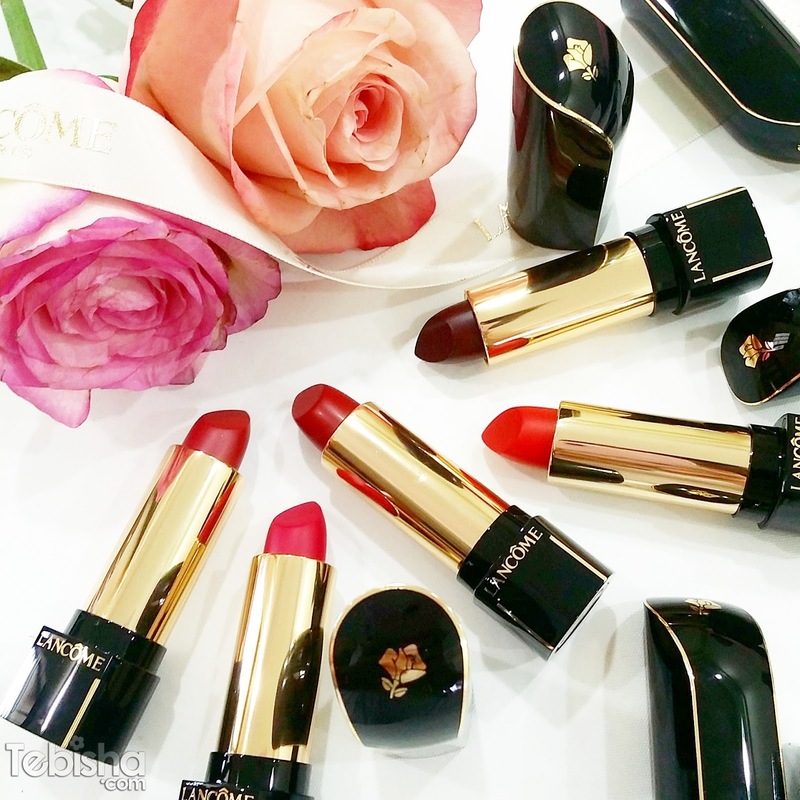 L’Absolu Rouge Definition is so perfect on my lips, super moisturising, well pigmented and comfortable to wear. Truly long-lasting and intensely saturated. Swatches of the 5 shades, guess which is my favourite? Shade 294 is limited edition and I really love this plum shade, surprisingly it wasn’t too over for my daily make up. My lips swatches for your reference too. Total 9 shades (included ltd ed. 294) are available. Do check out Lacome Holiday Gift Sets at Lacome counters and find a perfect gift for your love ones this Christmas. 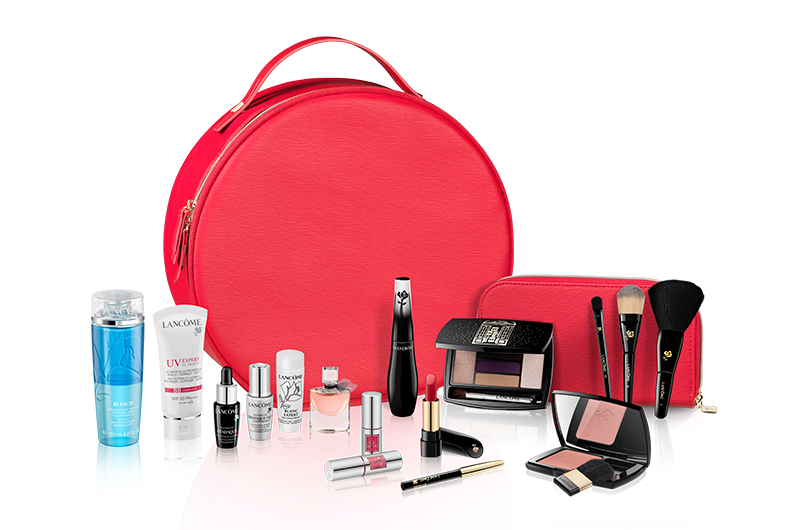 Lastly, do not miss out the CHRISTMAS LIMITED EDITION Lancôme Beauty Box Set (worth a total of $588)! Get it at $118 with $130 minimum spent! Available at all Lancome Singapore counters, hurry grab yours before it sold out island wide.